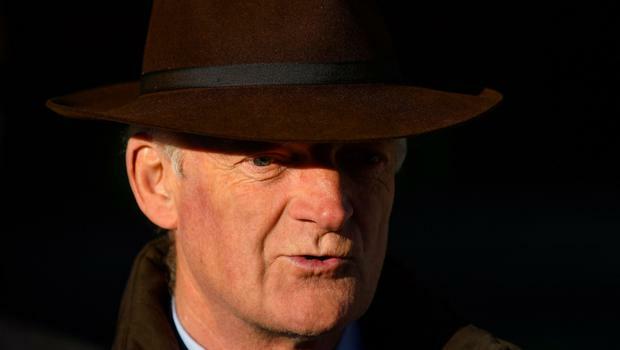 The champion trainer fielded three of the seven runners in the Tom Murphy Race Day 31st May Chase, but Pylonthepressure suffered a heavy fall with a circuit to go under Ruby Walsh, while David Mullins pulled up Augustin. Having shown some smart form in his native France, Class Conti was a well supported 11/4 favourite for his Irish introduction and Paul Townend rode a patient race, settling his mount at the rear of the field for much of the two-mile-five-furlong journey before allowing him to close down the leaders with a circuit to run. Mullins said: "He is a nice recruit. He had lost his way in France and his owner decided to send him over here to try a different type of racing. "It looked like he wanted another three furlongs. It took Paul nearly two miles to get him going and then in the last five furlongs he started to race. "Hopefully he will keep going and we will mix it between hurdles and fences, but he looks more a chaser - a three-mile chaser. "I don't know where we will go next with him. Punchestown might be a bit soon, but there might be something after that for him." Meanwhile, recently-retired trainer Brendan Powell is looking forward to a new chapter after revealing he is to join Joseph O'Brien's powerful team. The rider of 1988 Grand National hero Rhyme 'N' Reason, Powell announced last Tuesday he was handing in his training licence. However, it has not taken him long to find himself a new job and the 59-year-old revealed yesterday that he is set to return to Ireland for what he described as a "fantastic opportunity". "Joseph has a big yard and he's going places. I've had a few mornings there and it's fantastically run with great staff. I think Joseph wants to spend more time in the yard, so I'm going do a lot of the racing and hopefully look after some owners and syndicates."